CINCINNATI, OH (FOX19) - The store owner who shot and killed a robber at a West Price Hill Pony Keg will not be charged, Hamilton County Prosecutor Joe Deters said in a press conference Thursday morning. “When you go into a store or a home with the intention to rob it, you forfeit your right to not be shot,” Deters said. ‘Clearly justified’ is how Deters described the shooting. Officers responded to a report of shots fired at the Glenway Pony Keg at 4931 Glenway Avenue in West Price Hill on Jan. 23. They said they found a robbery suspect shot dead just outside the store’s door about 4:40 p.m.
Police say Douglas was wearing a black ski mask and had been shot twice with injuries to his chest and back. Homicide investigators identified him several hours later as James Douglas, 48. Deters said they are not naming the Pony Keg store owner who shot Douglas because she is not facing any charges. Douglas came into the the drive-thru liquor store with a loaded gun, pointed the gun to the store owner’s face and said “I’m going to kill you,” Deters said. The woman put all money from the cash register in a Kroger shopping bag given to her by Douglas and he then demanded money from the lottery counter. He said he never made the necessary motions to pull the trigger, but put the gun in the store owner’s face and threatened to kill her multiple times. The woman, who did have a concealed carry license according to Deters, pulled the gun out of her belt and shot Douglas when he demanded money from the lottery counter. 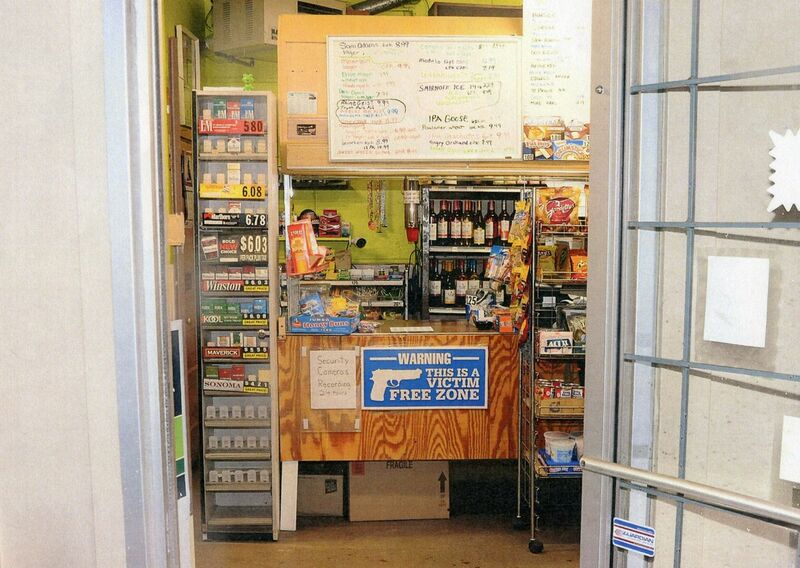 A sign at the counter of the Glenway Pony Keg reads "Warning: this is a victim free zone" with a picture of a gun next to it. A struggle happened between Douglas and the store owner after she shot him before she was able to run out of the store. Douglas collapsed in the doorway. Police found a loaded 9 mm Springfield Arms that Douglas brought to the scene and a Ruger .380 semi-automatic owned by the store owner. The store owner suffered minor abrasions and bruising. Deters said Douglas had a history of criminal behavior and was in a ‘dark spiral’ at the time of the robbery where he was desperate for money. He expressed sympathy for the children Douglas leaves behind but reiterated he believes the store owner was justified in shooting in killing him. All times are GMT-5. This page was generated at 01:48 PM.